Starting reseller business five years ago or earlier the business owner had only two options: signup for a shared hosting account with reselling feature or order a dedicated server. The initial option was a fine solution for starters since it was cheap, but as soon as the resellers’ business developed they needed a step-up. The problem however was that a dedicated server was still not affordable for them, while the resource usage of both resellers’ and their resold accounts became completely unbearable for a standard shared servers. This led to continuous suspensions of accounts and constant quarrels, some of which were even brought to social media. Finally, either the hosting company met halfway with the reseller offering some discount on upgrade or the reseller quit the company to signup for another shared hosting plan with another host. A lot has changed since VPS hosting has been introduced, so nowadays hosting reselling is not that tough, expensive and risky business. What is a VPS and How It Works? A VPS is a Virtual Private Server – an isolated virtualized environment with its own OS (Operating System) and emulated hardware, hosted on a physical server a.k.a. carrier. Those virtual servers are setup within a carrier by means of virtualization technology, which allows to run several isolated boxes, letting them operate independently from each other and provide the performance rates, similar to the ones of a dedicated server. Though there are several virtualization technologies, the common idea implied in all of them is to create conditions, on which several operating systems could function within single hardware set – one physical machine. There are many backgrounds for such an idea – energy use reduction, hardware use optimization, setup and maintenance cost cutting, etc. The main thing is that this idea works well for many business solutions including hosting reselling – let’s take a closer look, at which aspects specifically. An upgrade from a shared reseller plan to a VPS or initial start of reseller business on a virtual server is quite an affordable solution, since it sets the business owners free from enormous expenses of hosting. Resellers can then invest their money into SEO and social media marketing to have their business promoted on the World Wide Web. Apart from just being a good fund saving solution, a VPS stimulates the reseller to fair pricing formation. This is one of the key points in this business, since, on the one hand, there are too many competitors, while on the other hand – spending much money on expensive hosting may force the reseller to set high prices, too high prices for the provided services. Taking into account the further growth of their business, resellers may need the further upgrade of their VPS. The virtualization technology allows performing such upgrades staying on the same server, by just increasing the resource usage quotas – to some extent of course. Thus, since VPS hosting providers usually offer 3-5 different plans, a reseller may have his or her virtual machine upgraded to a couple of levels higher. Such upgrades are very convenient as long as they cause no downtime, which is critical for resellers and their clients. 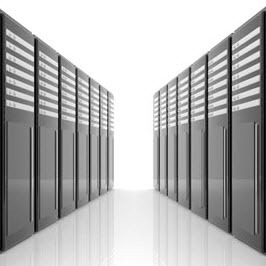 The feature of master reseller plans provision – plans which allow reseller’s customers to resell hosting, too – was usually available for the dedicated server users only. Modern technology allows to offer such plans on a VPS. Of course, this solution requires a more powerful VPS, but the fact is that resellers can now provide reseller hosting on their own with less expenses involved. One of the main benefits of VPS hosting is the absence of hardware issues. This point is the most essential for resellers. If the hosting reselling business owner is using a shared server and this server crashes, a reseller depends on his/her hosting provider, who in turn depends on datacenter staff. As far as such issues may take long to get resolved, a terrific waste of time may cause resellers to lose their customers. If it is a dedicated server, the issue may take less time but more money (e.g. if there’s no SLA guarantee, if the server is purchased from the datacenter directly, etc.). Being hosted on a VPS a reseller is set free from any possible hardware issues, except for those which may happen to the carrier. In this case, however a Virtual Machine can be cloned and moved and then started on the backup server. Performance is not the only feature of the VPS, which makes it look similar to a dedicated server. Another feature is management. Administration of the server does take much time. If there are a couple of dozens accounts hosted there, administration and management of such a server may become a nightmare. Those who were using a shared reseller hosting account can tell how exhaustive it can be – to just manage clients’ accounts and billing. Imagine what it would be if they also had to administrate the server itself. Well, you may not imagine this – virtual servers are administrated by the host’s technical staff. Another positive thing about VPS management is the client side. Let us refer to shared reseller hosting users again – I believe all of them can confirm they had a situation, when they requested assistance for their customers, even on their behalf and received a deny. This may sound fair enough from the host’s side in terms of support provision policies or taking the fact the server is shared and is used by many other people and so on, but the problem remains and the reseller’s client stays unsatisfied. Use of a VPS helps to resolve such issues quite well. First of all, a VPS is one of the top products at many companies; therefore its support is privileged. Another point is server isolation – it allows the host’s support team to modify initial server configuration and apply non-standard solutions. As a result – the reseller can take care of many other things important for his or her business. Another advantage of a Virtual Private Server for a reseller is the ability to customize it. The isolatability of the VPS and the presence of root access to it allow the reseller to tune-up and reconfigure different services, what helps minimizing load and cut server resource usage. Considering the constant lack of disk space and taking into account active file transfer and mail exchange, such option may do much good to both reseller and all his or her clients, since a couple of resource intensive accounts may make other account owners and the entire VPS experience services slowdown and even overload. For instance, a reseller may limit the number of FTP and SMTP/IMAP connections to the server to lessen the number of request and the load on those services, in turn. Furthermore, the administrator of the VPS may simply disable IMAP protocol on the server, so that all the users could use only POP3, which implies the download of all messages to the local computer of the user. Such limitation helps saving server space and gives the reseller a ticket to overselling. Overselling is actually not the best strategy, but many hosting business owners apply it while creating their hosting packages and setting prices for provided services. In a nut-shell, this strategy means offering and selling more, than one really has. This mostly concerns disk space and bandwidth quotas, but hosting sellers and resellers usually oversell on more services – number of virtual hosts (addon and subdomains), email and FTP-accounts number, size and number of the databases allowed under a single account. Though overselling strategy does not always bring many problems, the risk of slowdowns and overloads may grow with its use. Thus, if the hosting business owner considers this solution important for his/her business, overselling may be applied. The reseller however should make sure the server in use is capable of carrying out such loads. The problem of load and its reduction has always been in question for all server administrators. Even for those who use their server resources rationally. The solution to this problem was found since the load balancing technology had been invented. This technology requires the use of several servers – each of them is processing requests addressed to a service or a set of services specifically configured on this standalone machine. Load balancing may look an expensive solution, but its price is justified by the positive effect it makes. Additionally, talking about separate machine for service processing, we mean virtual machines, too. Those are significantly cheaper, as far as you know, so let us see how resellers can have load balancing applied in their business. Imagine you have a top VPS. To make the story more interesting, imagine that you oversell and already have about 50 clients. You start experiencing load issues because some host over 20 domains; some use your service as a small email server and some organize file sharing over FTP. Such load is bearable yet, but you realize that the further growth of your business may require an upgrade – this time to a dedicated server. You are definitely not interested in wasting time on transfers, DNS-rearrangement and other related problems. Thus, you get a couple of simplest cheaper virtual servers, one of which is let’s say set to process MySQL requests, while another deals with mail exchange. Even such move is going to seriously lessen the load on your VPS. The development of the reseller’s business may later require an upgrade to a more serious solution – to a dedicated server. A finely tuned VPS however can let a reseller host his resold accounts for a long time with no issues and for a significantly affordable price. If you are not sure about the hosting plan for your reseller campaign, order a cheap VPS hosting plan and start conquering the market of web hosting. But if you think a VPS is not enough for your business, check our offers for cheap US dedicated servers.